Doris and the marriage proposal! While staying on a lovely campsite overlooking Salcombe Regis, with a cooked breakfast and a mug of tea, a very exciting proposal happened in Doris. We were very excited to hear the news, as it was the first proposal to have taken place actually in one of our coast2coast vans! 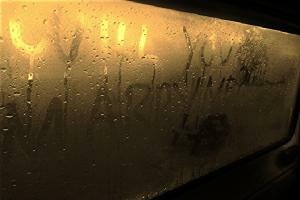 All went according to plan with the lovely lady saying yes, and a wedding now planned for June 2014! 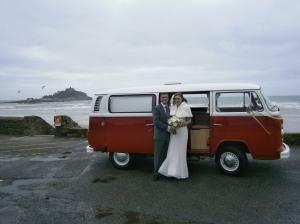 Ruby provided the perfect transport for a beautiful winter wedding in Hayle, Cornwall during the festive season of 2012. The Bride and Groom travelled in style between venues and Ruby also acted as a brilliant backdrop for the wedding photos! Zoe and Martyn (the happy couple), were so pleased with their transport for the day and we were equally happy to have been able to help with their special day!